At some point in an academic career, most college level students go through a period of time in which they struggle to keep up with balancing good grades while not also burning themselves out trying to focus on doing so. Students at American River College are no different, but often times many are completely unaware of the numerous support services ARC offers, let alone the benefits that can used by utilizing them. Certainly some services are more commonly used than others, but that’s to be expected. The school’s bookstore is naturally popular in the beginning of the semester, as is the financial aid office. The college police office, located immediately south of Davies Hall and behind Portable Village, is vital to the ARC campus and certainly is good for students to know its location. It seems, however, that the more popular services are that way as a result of absolute necessity, rather than the student’s desire to put full focus into their education. Students need required textbooks in order to achieve a passing grade in a class, and some wouldn’t be able to attend school at all without financial aid. ARC’s website lists a total of 48 services under the support services tab, but most students have probably never looked through the list despite certain struggles they’ve encountered through the course of a semester. These lists include descriptions of the services, locations and hours of availability. 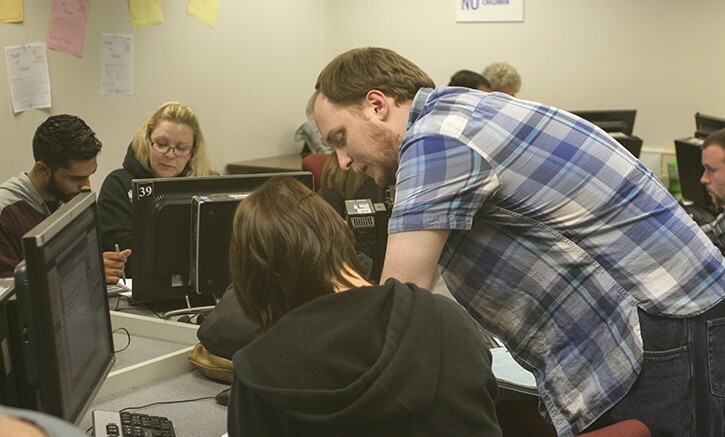 Many professors on the ARC campus inform students of both the Writing Across the Curriculum (WAC) and Reading Across Disciplines (RAD) during the first day or two of instruction and recommend taking part. Both programs are located in the Learning Resource Center (LRC), which in it of itself is a support service and offers additional ones. There are buildings and areas all around the campus that a student can utilize to help them out, even if it’s as simple as using a study room in the library as a quiet place to study. All of us have our respective strengths and weaknesses, but many students seem indifferent and even more so unwilling to try and improve their grades or generally ask for help. Be the first to comment on "Opinion: Students must be active in their approach for success"